The Skanner News - Is Your March Madness Bracket Really Better Than Mine? 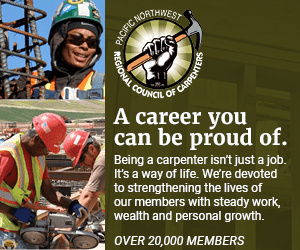 (THE CONVERSATION) Participating in a March Madness bracket office pool this year? Don’t rely too much on experts’ picks or overestimate your chance of winning. In one study, we gave empty brackets to 81 college students. Half of them were specifically asked to fill out the bracket; the other half were given the bracket but not asked to fill it out. They all were asked to project their winning probabilities – if they had completed the bracket, how good they thought it was, and if they hadn’t, how good they could have made it if they had tried. When we adjusted for participants’ past bracket experience and basketball knowledge, we found that people who filled out a bracket showed greater confidence in winning than those who did not make any selections. Simply putting some effort into making picks increased their belief in having a good chance of winning. Click image to download the bracket sheetMy interviews with participants showed that filling out a bracket will also encourage consumers to watch more games with heightened levels of arousal and excitement. This is critical for television networks, and for sponsors who spend millions of dollars on rights and advertising. 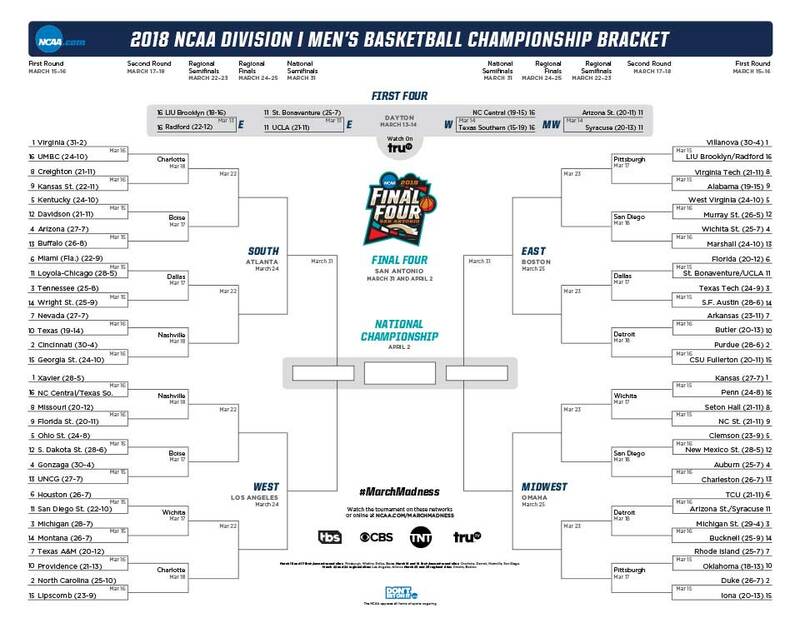 No wonder the NCAA, which strictly bans all forms of legal or illegal gambling on college sports, releases a free downloadable “Official Bracket” every year. Such biasing judgments only reinforce the illusory perception of control over what is actually a random outcome. Psychologists have found that “illusion of control” is prevalent when chance is involved and has been widely examined in trading, gambling and fantasy sports. Research has also found that illusory perception in winning is heightened when skill-relevant factors are involved, such as personal involvement, knowledge, competition and familiarity with the task. March Madness brackets provide ample opportunities for basketball mavens to believe that they can make accurate predictions – even though that may not be the case. You make personal selections, rely on stats and expert knowledge, and usually compete with your office mates or friends, or even online with anonymous others (such as on ESPN). A second study, published alongside the first, showed this. In 2011, we ran a mock tournament with real prizes (US$100 gift card) involving college basketball fans. We wanted to see if people who were more confident about their picks were actually more correct than their less confident peers. After all the participants made their selections, we asked how confident they were that they would be in the top 10 percent for overall bracket accuracy by the end of the tournament. Based on their self-rating of confidence in winning, we grouped participants into high- and low-confidence sections and tracked their actual performance after three weeks of the tournament. Interestingly, we found no difference between these groups: that confidence had no effect on improving accuracy. Moreover, the confident fans would have lost 2.56 times more money than the less confident group if they had actually been betting on their results. The members of the more confident group said they would wager an average of $22.95, while those who were less confident projected betting $8.85 on average. In the same year, three basketball analysts from ESPN, CBS and Sports Illustrated made their Final Four predictions. Only one analyst correctly picked one school out of the four; when we compared the picks of so-called “experts” to the nonexperts in our study, we found neither was more successful. So confidence in winning a pool does not necessarily mean that you will win some cash or free lunch from your colleague. Warren Buffett once announced he would give $1 billion to anyone who picked a perfect bracket. No one ever came up with any brackets even near perfect, which shouldn’t be surprising. The chance for the perfect bracket is somewhere north of 1 in 120 billion (or maybe a couple trillion, or even a few quintillion). But we know for sure that people will still come back this year and fill out their brackets online, offline or on their smartphones. While we found that overconfidence does not translate into winning, we did learn that it boosts enjoyment. It is the excitement from overconfidence that brings people back to the bracket every year. Fill out a bracket and boost your confidence: that is perhaps all you need for enjoying watching the tournament with your colleagues and friends. Don’t get too serious, though. You might end up buying lunch for your office mate who picked his teams solely based on jersey colors. This article was originally published on The Conversation. The Conversation is an independent and nonprofit source of news, analysis and commentary from academic experts.